I am starting the year off with a bang! 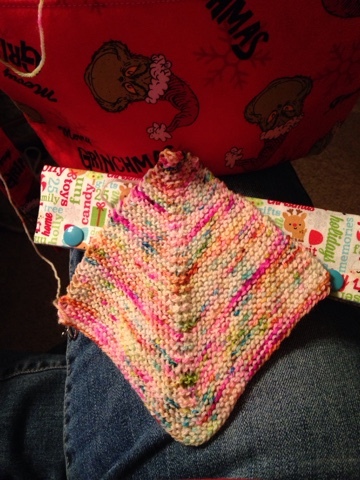 I have started several projects in knitting and am in the process of learning to crochet. As part of my cast on projects I started a couple of blankets including a mitered square blanket technically Memory Blanket by Georgie Nicolson found on Ravelry. I am casting on 64 stitches with 3.0mm needles. 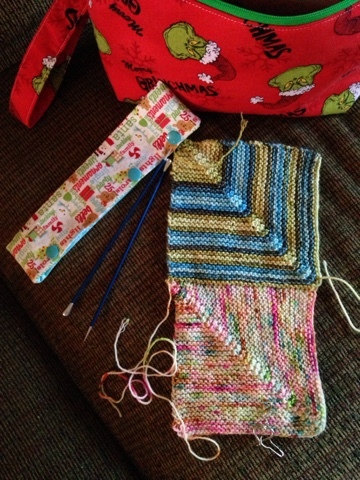 I am hoping to make one square a week for awhile- in hopes to get to a lap sized blanket. Here are a couple pictures of my progress. It is coming along well so far and is quite enjoyable. I encourage you to start something new for 2017 and begin as you plan to continue this year. May we all make it a good year.